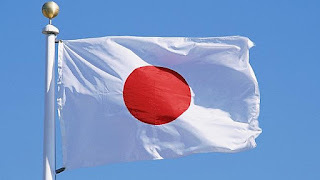 How to apply Japan Scholarships for PH Teachers and Undergrads (SY 2016) - Exam News, Reviewer, Military Career, & Everything [MN] . . The Japanese Government has opened another good opportunity for the Filipinos. The Japanese Embassy has announced that they are now accepting applications for the Teacher Training and Japanese Studies categories of the 2016 Japanese Government Program. The scholarship program is open to both Filipino Teachers and undergraduates. Under the Teacher Training Category, Teachers will have an opportunity to spend one and a half year of conducting research on school education at one of several Japanese universities. On the same note, Filipino undergraduates who wanted to pursue Japanese Studies in Japan for the duration of one year as part of their degree under the Japanese Studies category are encouraged to apply as well. The application process is consists of a document screening, written exams, and an interview. - 1.5 years of study in education management, methods of education, special subjects, observation study, etc. A reminder from the embassy, only hard copies, preferably printed on A4 size paper, and mailed through courier or hand-delivered to the embassy will be accepted. The deadline for submission of applications is on February 19, 2016 (Friday) at the JICC Library. Tips: A sample exams from 2009-2010 can be obtained from link below for you reference. Please click here to download the sample examinations from the 2009-2010 Research, Undergraduate, Professional Training (Special Training College) and College of Technology categories.